With elegant contours, the clear, understated design language translates architectural principles in terms of a chair that extends an invitation to feel at ease. 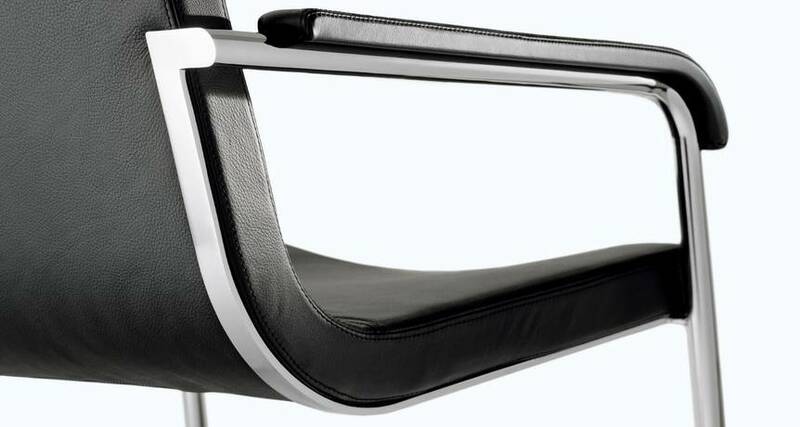 The sophisticated upholstery technique emphasizes the high quality of the design: the accommodating upholstered element comprises a steel frame with tension springs embedded in foam. This allows slender cushioning that provides pleasantly firm and lasting seated comfort. Such a pleasant and comfortable sitting experience calls for the addition of a convenient platform for magazines or refreshments: Low tables, square and rectangle, therefore complete the Cura range. 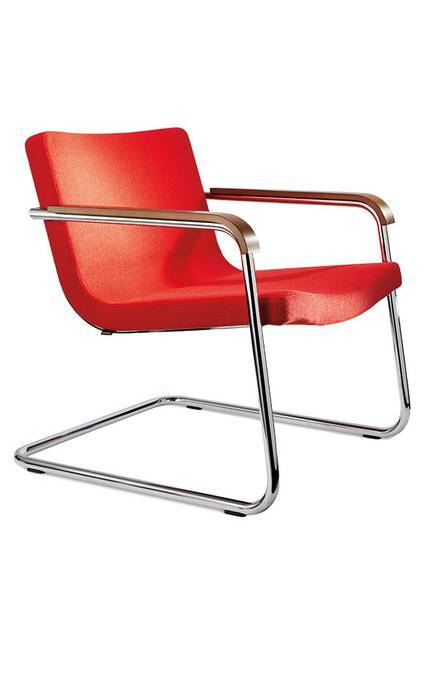 They have a skid-base frame structure in bright chromium-plated steel tube that harmonizes perfectly with the cantilever chair. 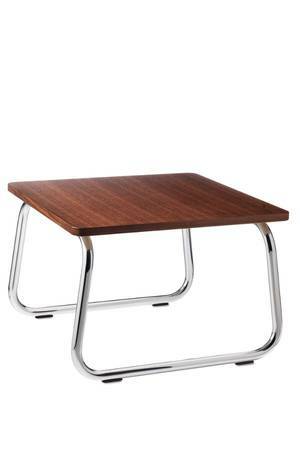 The tables are 36 cm high, with surfaces measuring 54 x 54 cm or 60 x 150 cm. Bright chromium-plated steel tube, diameter 25 mm, thickness 3 mm. Four glides in black-grey polyamide are standard (for soft floors); optionally in black-grey polyurethane (for hard floors), on request with additional felt insert.Particle board grade E1, thickness 20 mm, optionally with bonded surface in the colours white, basalt grey or silver grey with ABS lipping in the same colour as the table top, or with real wood veneer with wood lipping: variation 1 with maple, beech, oak or ash veneer; variation 2 with cherry or walnut veneer, each according to Wilkhahn woodstain colour samples. Steel frame in square tube with tension springs embedded in polyurethane foam. Exchangeable, onepiece cover with side facings in high-quality woollen fabric or superbly soft leather. The upholstery on the Cura is placed on a centre pedestal. 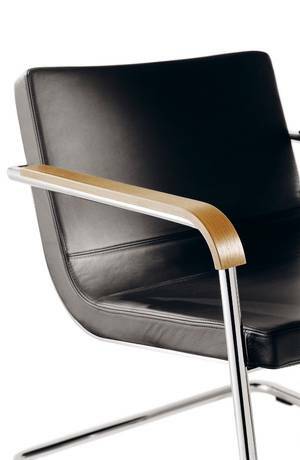 This enables a frame without armrests, allowing plenty of freedom of movement. The star base dovetails with the clear shape and is made of die-cast alu minium. The same applies to the footstool. In this case, the upholstery consists of a cushioned, completely plywood shell. Steel frame in square tube with tension springs embedded in polyurethane foam. Exchangeable, one-piece cover with side facings in high-quality woollen fabric or leather. 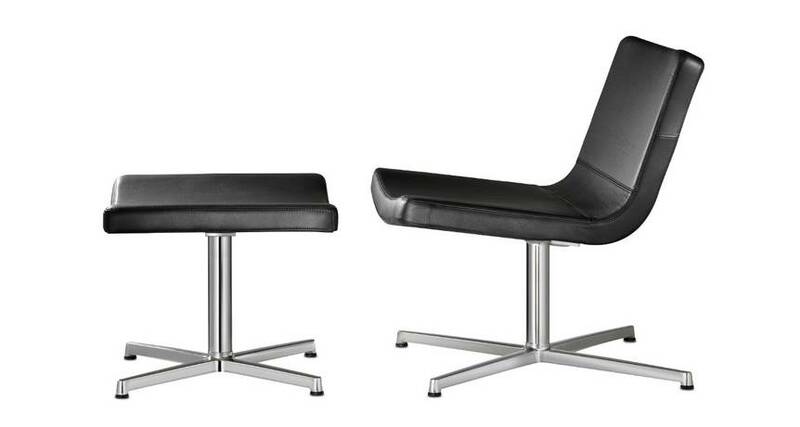 Die-cast aluminium, high-lustre polished, star base with rigid column and steel, bright chroniumplated seat bearer. Black, multi-purpose plastic glides for all types of flooring. Shaped plywood shell with seating cushion, fully covered.